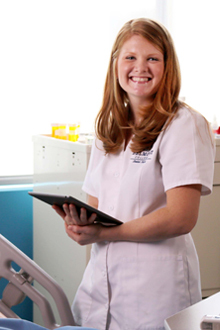 Our Allied Health degree and certificate programs are designed to provide a hands-on educational opportunity in which students develop a scientific basis and gain professional and technical skills needed in the health care industry. Additional dates for HESI (Health Education Systems Incorporated) testing have been added. Please note that the application deadline dates have NOT changed, however students are permitted to take the HESI on the defined dates despite the application deadline. The last day for HESI testing for both traditional and transitional students is May 23, 2019. Registered Nursing applications are due no later than April 26, 2019 and Transitional Nursing applications are due no later than May 24, 2019. 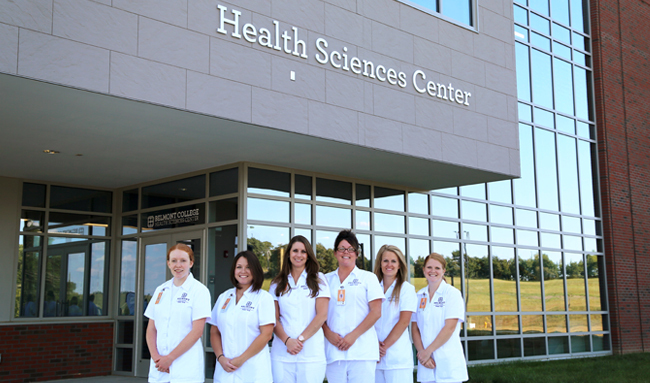 The Health Sciences Center is now open and located between Hammond Road and State Route 331 in St. Clairsville, close by the main building. This new building currently houses all Belmont College Nursing and Health Science programs. The 27,648 square foot building features a two story overlap design with state-of-the-art classroom and science labs for biology, anatomy, and chemistry. These high-tech classrooms enhance the learning environment and provides opportunities for students to nurture collaboration and creativity.